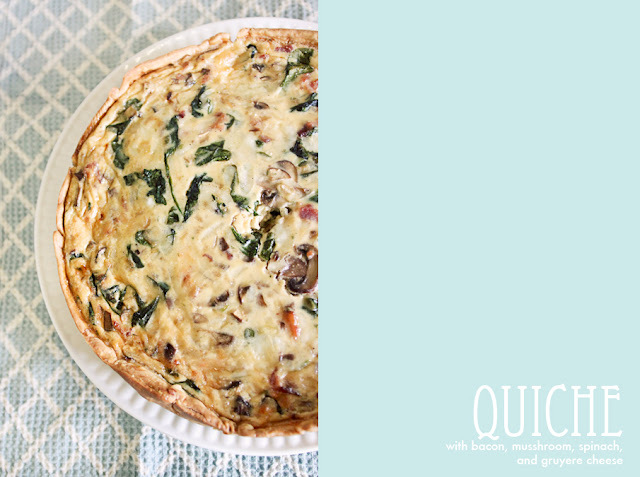 This is a recipe I adapted from several different quiche recipes I have seen. It has a little bit of everything, and is sooooo good! I hope you like it too. Preheat oven to 400 degrees. Line the 9 inch pie or cake pan with rolled out pie crust and bake for 5 min. Then lower oven temp to 375. Saute onion and mushrooms in a little bit of oil, then add the spinach; season with garlic salt and a dash of nutmeg. 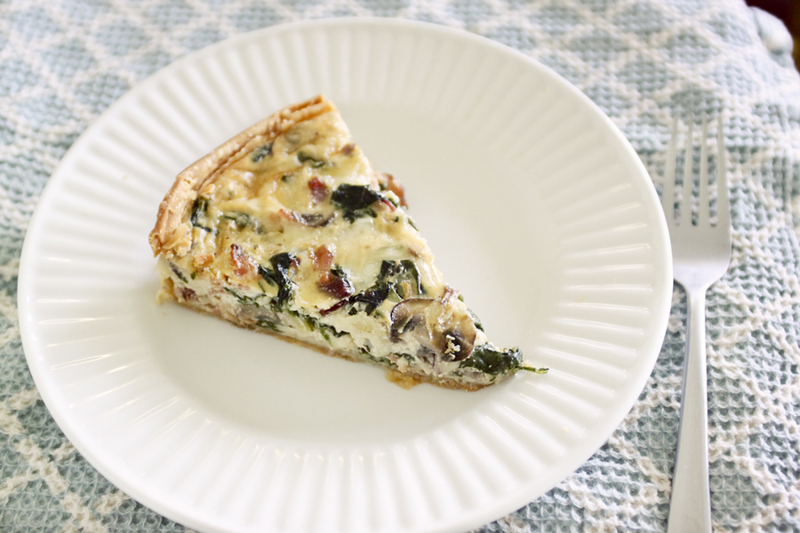 Mix together egg, milk, bacon, onions, mushrooms, and spinach. Add a little salt, pepper and nutmeg. 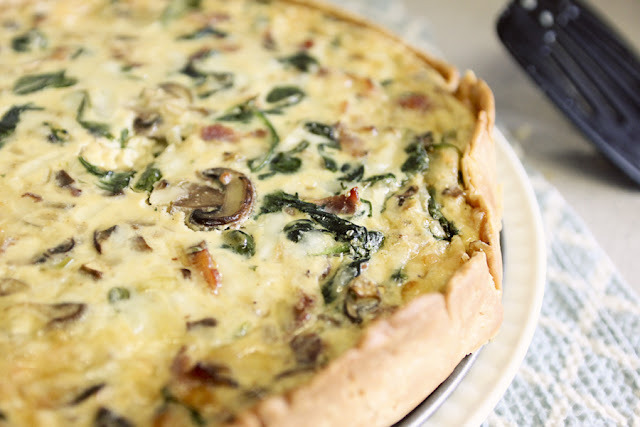 Toss cheese in 1 Tbsp flour and add into egg mixture. Pour into partially baked pie crust, and bake for 45-50 minutes, until set. Let it sit for 15-20 min before serving.